Superstars hit the big leagues! 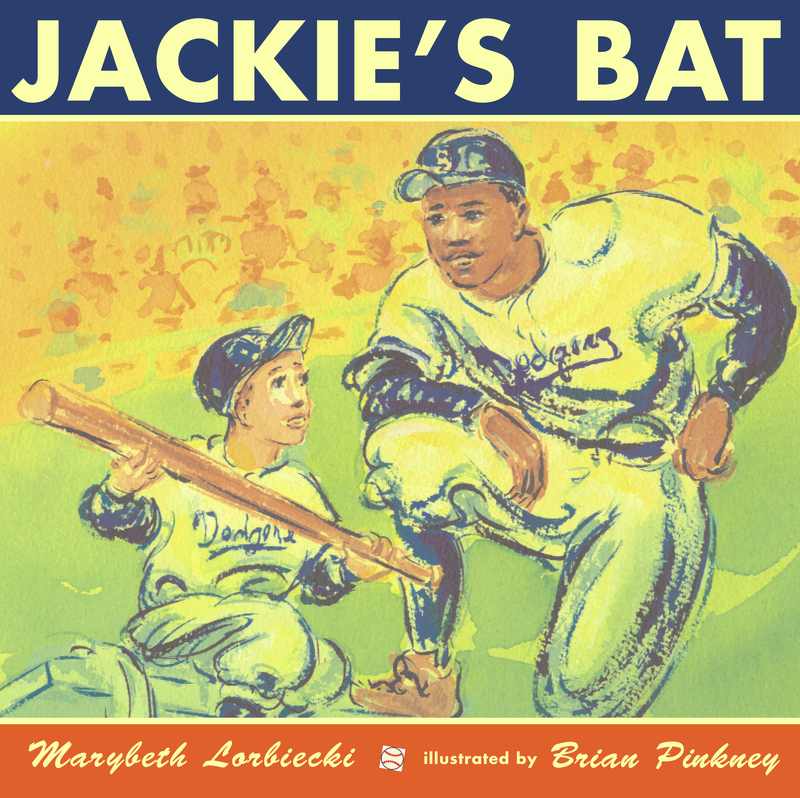 Two-time Caldecott Honor artist Brian Pinkney and award-winning author Marybeth Lorbiecki take the field in this carefully crafted, fictionalized account of how Jackie Robinson broke through professional baseball's color barrier. Marybeth Lorbiecki is the aclaimed author of numerous picture books, including the poignant and controversial Just One Flick of a Finger, illustrated by David Diaz,and Sister Anne's Hands. This is her first book for Simon and Schuster. She resides in Hudson, Wisconsin. "I had two distinct reactions to Jackie's Bat. First, it is an engaging story well told, and a clear message for children who have been taught to discriminate. My second and most powerful reaction is dismay over the continuing need to address the damage done to children as prejudice and racism taint their world and perceptions. It is my hope that young readers, with adult encouragement, will be inspired to sense the need for change within themselves and their families, or will feel proud of their enlightened attitudes. Congratulations...for celebrating Jack's life and legacy so beautifully."